Serpent Knight from the Kingdom of Dragonspine. Currently living in the Wetlands. He has been King of both kingdoms but not at the same time. 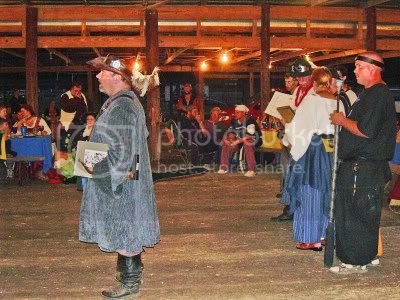 He is the Lt/Bard of the Sterling Dogs and is the lead singer for 4 Bard Harmony, a bardic band that has played shows at Spring War and Wetlands events. He is known for his bardic performances, and frequently performs with The Horsemen of the Bardic Apocolypse in the Emerald Hills. 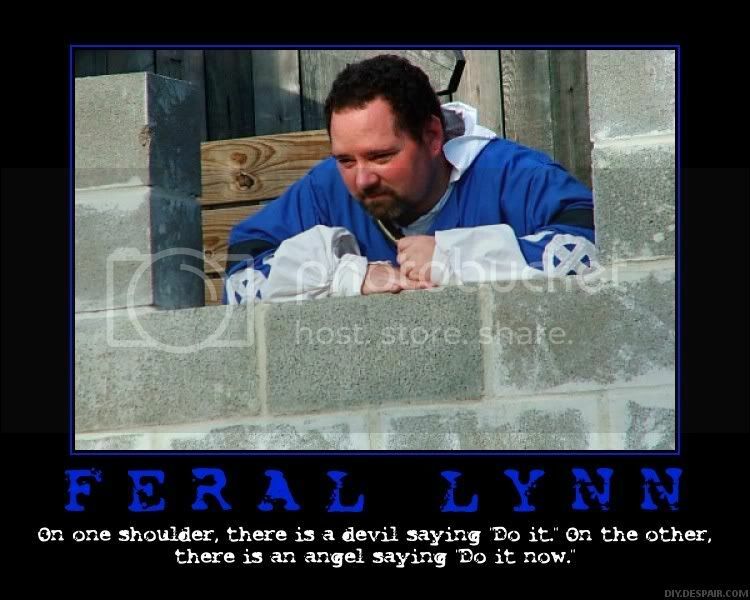 Feral created and maintained Finkorama, Amtgard's web comic, for 4 years, with assistance from Snicker before having to close it down due to lack of time and threats from in the man in the box. Feral has posted that a new version of the Fink will be coming soon. Feral leads the White-hearted army of doom in a constant bid to doom good times that the SSA and it's leader Slyddur are having. Frequently the two leaders can be seen parlaying by sharing a drink or eight and debating Jynx Mercades' masculanity. Founder of Cairn Garneth along with Dorath and Daunte. Creator of Piratical Sabbatical. This is not the first event Feral created. He also created Battle of the Nexus, an event hosted by Dragonspine in 1998. It was intended to be a continuing thing, but died, as many things do, due to politics. Co-founder of Sterling Dogs Battle Company with Ironpaw. Creator of Fink-o-Rama, Amtgards first and longest lasting web comic (archives to be put online soon). Co-founder and frontman of 4 Bard Harmony in 2003. 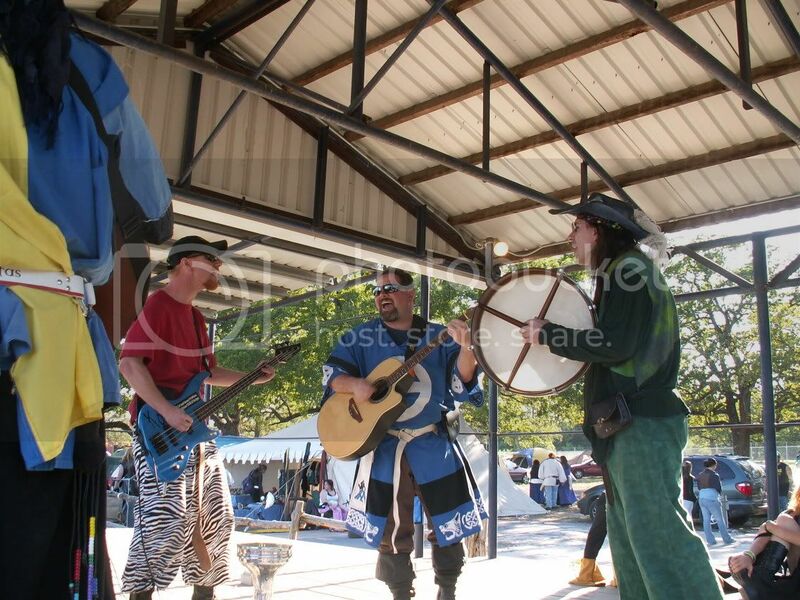 This bardic troupe also featured Snicker Furfoot, Hawklynn Stormcloak, and O'Banion. Renamed as Regimental for one show before disbanding in 2007. A more recent incarnation of the band, now called "An Excuse to Play" features Snicker Furfoot, Dughan, and Sean Carlton. They played McFadden and Three Jug's wedding this past spring. Member of the JLFM # 15.